Uptown XO is DC through and through. Born as Jamaal Walton in historic Howard University hospital in ’85, XO grew up immersed in the culture and music of the District of Columbia. Both parents were musicians and XO’s first musical experiences include singing in the church choir and learning the piano, trumpet and drums. Being as active in the local scene as possible, whether it meant passing out mixtapes or working at sneaker shops with Wale, XO started to network and connect around town. Hitting the pavement led to meeting Oddisee and yU while they too were on the come up. They recognized the like-minded talent in each other and began to build, this was the beginning of the much heralded DMV group, Diamond District. The buzz grew from local to global with their 2009 debut In The Ruff. His album Colour de Grey will only add layers of depth and nuance to his hardbody sound. Introspective, stylish and gritty, XO is a reflection of his DC environment. Colour de Grey straddles commercial appeal and underground grit, utilizing street smart lyrical content with an ear to the political, along with infectious soul stirring, head-nodding production. 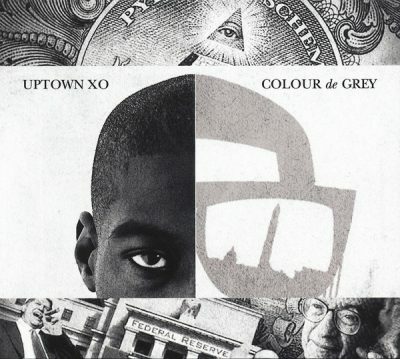 comment "Uptown Xo – Colour De Grey (CD) (2013) (FLAC + 320 kbps)"